You are here: Home / What Makes Someone a Native Speaker? What Makes Someone a Native Speaker? Being an immigrant journalist in the U.S. comes with a truckload of microaggressions. While the current political scenario has presented itself as a living nightmare for refugees and immigrants alike, language and accents has been one subject that people can’t seem to draw the line between comical and offensive. And when you’re in a profession that requires you to have a good command on a language, the questions get even more offensive. Moving to the U.S. introduced me to a range of people expressing surprise at my English skills, from Uber drivers to fellow journalists. Coming up with various answers for an incessant stream of “your English is so fluent!” drove me to the question—Who is a native speaker? To come to terms with my ability to “speak English so well,” I contacted a couple of linguists in order to learn more about this. The term “native speaker” is an implication of someone who has “internalized” a language rather than learning it deliberately. “When you’re born, your brain has plasticity,” says Nicholas Subtirelu, a professor of applied linguistics at Georgetown University. “Linguists believe that you are receptive to any language in the world, and no one is biologically inclined to one language over the other,” he said. This would mean that a native speaker of a language would automatically know how to use a word in a sentence, even if they haven’t encountered a similar situation before. For example, a native speaker of English would know to use discontinued and not uncontinued, while someone who has learned the language later in life may not. This also means that it is possible for someone to have more than one native language. A child can learn any number of languages natively when exposed to them before the age of 6. Subtirelu stated that the discrimination of people belonging to different races and backgrounds, particularly their accent or sentence structure, was born out of identity politics and preconceived notions, and doesn’t necessarily have a scientific basis. I am a native English speaker. I am also a native speaker of two Indian languages. In America, my English isn’t seen as of equal value. But science says otherwise. 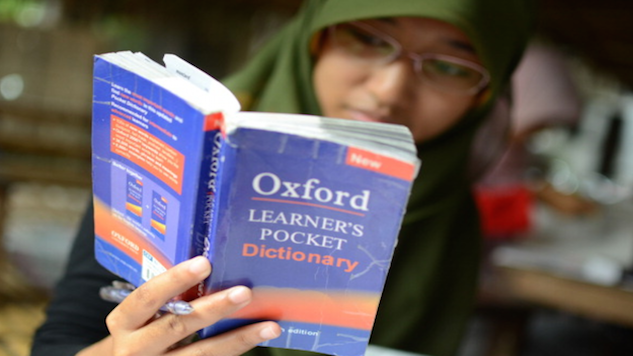 In the case of a language like English, which was the tongue of British colonizers in many countries like India, Malaysia and South Africa, English is spoken as the first language of a portion of the population. What causes confusion, and often ignorance, is the presence of a different accent. Accents are usually a product of all the languages you’re exposed to. Take my case for example—As someone raised in India, my T has a harder emphasis and my Ws and Vs sound different from a person raised in the United States. This is due to the influence of my other native languages, Hindi and Telugu. The languages I learn in the future will have a similar influence. “You draw on the resources of your native languages to assist you in learning new languages,” said Subtirelu. “Any one who is trying to distinguish or put you outside a language block because of your accent, is using a criterion that is not linguistic, but Colonial hierarchy and years of internalized racism have made European accents desirable, while Asian and African accents tend to be mocked and devalued. At the end of the day, language is a tool for communication. Use it to talk and debate, not discriminate.